Does Harry Thomas Jr. Have Something to Hide? Ward 5 Councilmember Harry Thomas Jr. may have nothing to hide, but he doesn't seem to be acting like it. 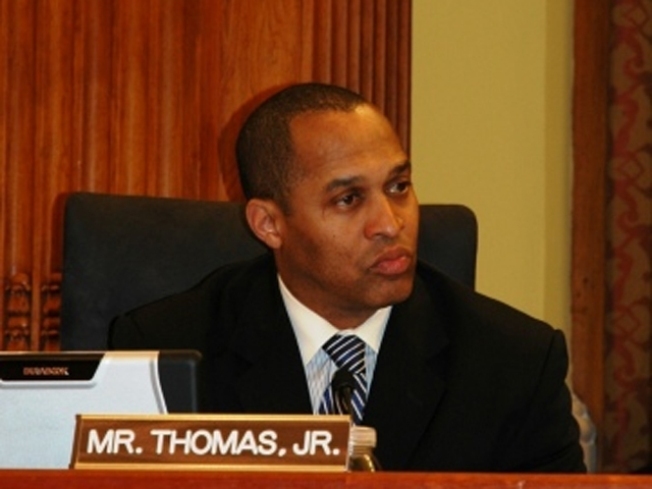 Thomas founded "Team Thomas," which he calls a "nonprofit organization for social change, citizen empowerment, community development, and youth and senior program development," in 2000, six years before his election to the D.C. Council. According to Thomas, the organization has run after-school programs, weekend youth skills training clinics and summer camps, and "distributes turkeys to needy families and hosts a toy drive and holiday breakfast with Santa." But Thomas’s re-election did not resolve the matter. Thomas has denied making any false claims about Team Thomas, and says it has done nothing wrong. Still, he has dragged his feet, first missing Nickles’s deadline for voluntarily producing records about contributions and expenditures, then ignoring a subpoena from the attorney general. Though Thomas’s lawyers said Nickles was bullying a councilmember who had not endorsed Nickles’s patron Adrian Fenty, Nickles essentially argued that that was immaterial -- the issue was whether Team Thomas was in violation of the law. On Nov. 2, Election Day, D.C. Superior Court Judge Bruce Beaudin ruled that Thomas had three weeks to comply with the Nickles subpoena. Thomas attorney Frederick Cooke said that day that the information could be released as soon as the end of that week. It wasn’t. Instead, Thomas waited until Tuesday, the very last day, to comply. Much of the controversy surrounds the fact that Team Thomas was actively soliciting donations as late as 2008, despite Thomas’s earlier assertion that solicitation had ceased after he was elected in 2006. The Washington Post has reported that Rhode Island Avenue Metro LLC, a developer working on a project in Thomas’s ward, donated $2,000 in January 2008, and another Ward 5 business donated $2,600 that same month -- sending the check to a Thomas Council staff member at his city office. At a news conference yesterday afternoon, Thomas said Team Thomas raised $216,159 between Jan. 1, 2008 and the present, but this was hardly a ray of sunlight. Thomas declined to offer details on spending or contributors, saying only that the money went to youth sports programs. Cooke said at the news conference that Nickles had not asked for an itemized list, so he wouldn’t get one. It remains unclear whether companies with D.C. government interests, or lobbyists, gave Team Thomas money after Thomas’ election. Nickles, for his part, told Washington City Paper’s Alan Suderman Tuesday afternoon that "Harry Thomas is in big trouble. ...What you have on its face is a confession, and it’s unlawful solicitation." Nickles is planning a much broader second subpoena. As of now, it is not clear if Thomas actually did anything illegal or even unethical -- though his actions are certainly questionable. So why the delays? Thomas is considering a run for a citywide At-Large Council seat, and his team knows Nickles will be leaving office before Vincent Gray becomes mayor. Thomas is trying to run out the clock on the inquiry. But if he hasn’t done anything wrong, and if Team Thomas is what he says it is, why not prove it once and for all? Follow P.J. Orvetti on Twitter at @PJOinDC.